EDWARD CULLEN IS REAL. . HD Wallpaper and background images in the 暮光之城 男孩 club. This 暮光之城 男孩 wallpaper might contain 肖像, 爆头, 特写镜头, 特写, and 爆头特写. This is by me,I love this saying and the picture of edward is HOTT!! I love this-can`t agree more! 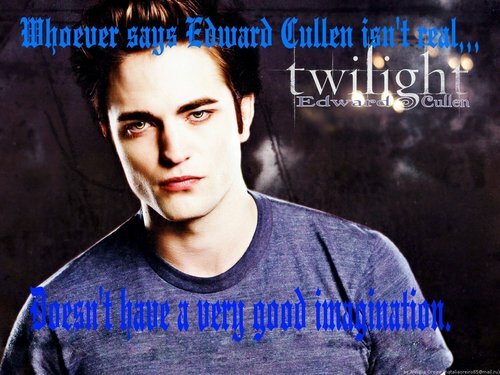 Anyway-Twilight is all about imagination-and turning that into reality! i would worship the ground he walks on!! !